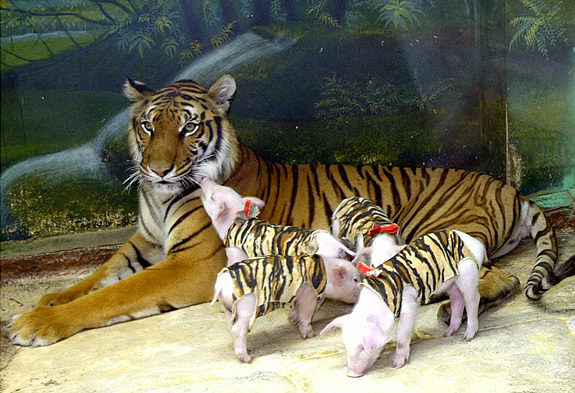 by the mother of these little piggies. 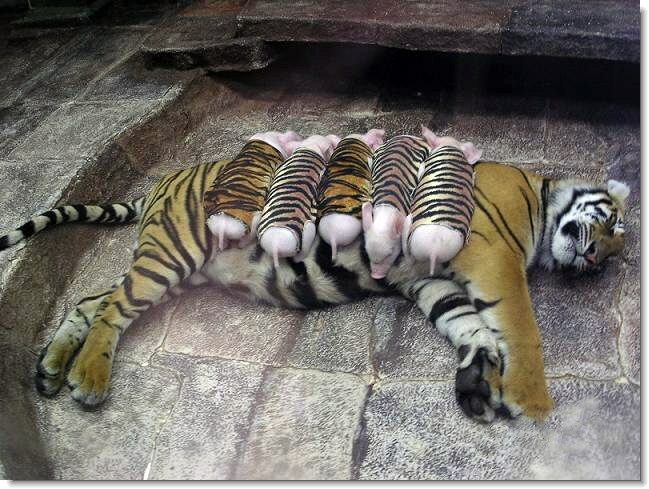 And in a reversal, these tigers are mothering little piggies! Too funny! Have a great Friday! 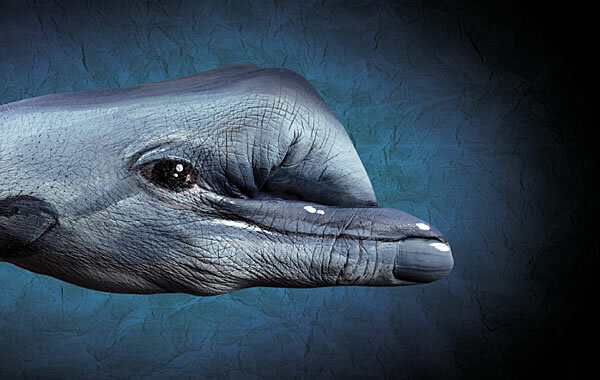 Dolphins are sometimes born a bit off-color. 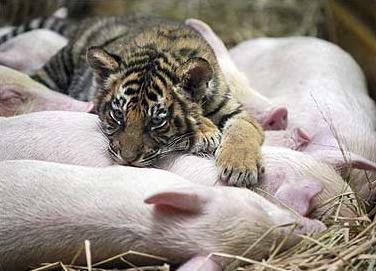 And sometimes they're born with no color at all! 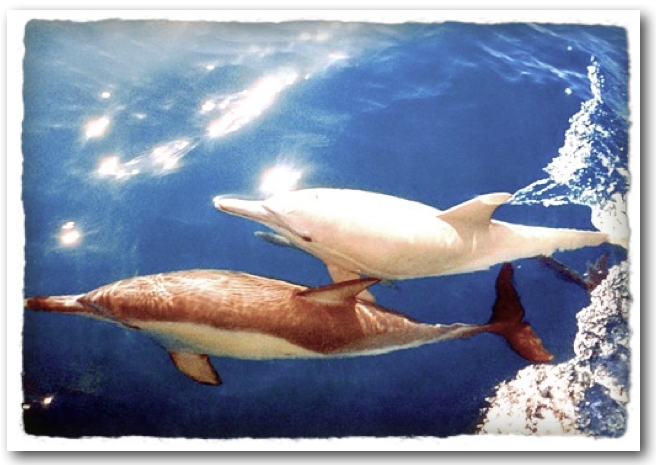 There's an all-white Common dolphin, named Caspar, who is consistently seen on a certain whale watching tour. But there are also dolphins whose albino coloring makes them pink! 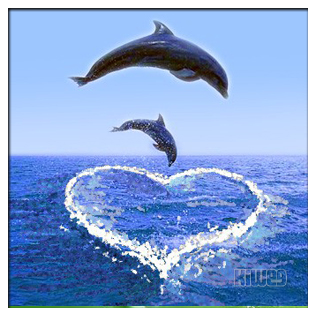 Sometimes a dolphin falls in love with a dolphin that's not their own kind! And when that happens, the baby is called a "hybrid". Scroll down, and you'll see a picture of a Wolphin! Dolphins are so amazing that I can't resist showing you an illustrated series of them below. Take a look at the blue freshwater Tucuxi dolphin and the squid-scarred Risso's dolphin. The Only Mammal Painted like a Race Car! Funny Friends Friday: Cat and Dolphin Playing! We go to Sea World. We take boat cruises. We go deep sea fishing. 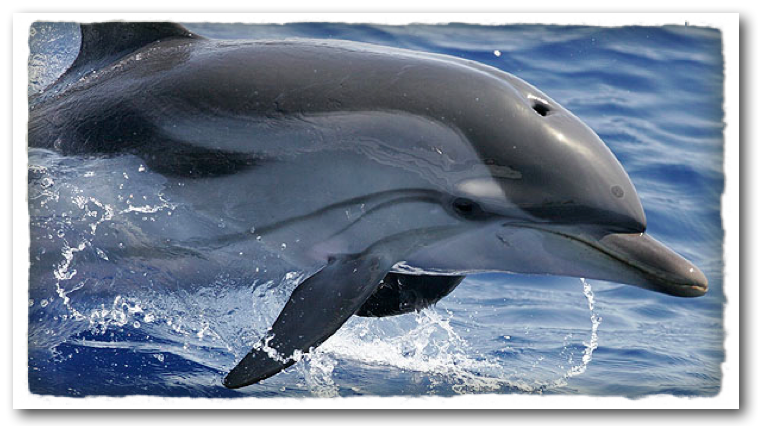 And though we might see an abundance of sea mammals, we will probably NEVER truthfully say, "Look, there's a porpoise!" Funny Friends Friday: Unlikely, but true! 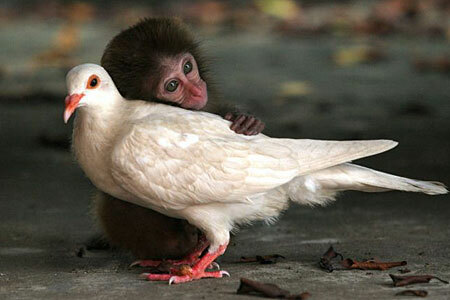 A monkey and a pigeon have become inseparable at an animal sanctuary in China. The 12-week-old macaque - who was abandoned by his mother - was close to death when it was rescued.